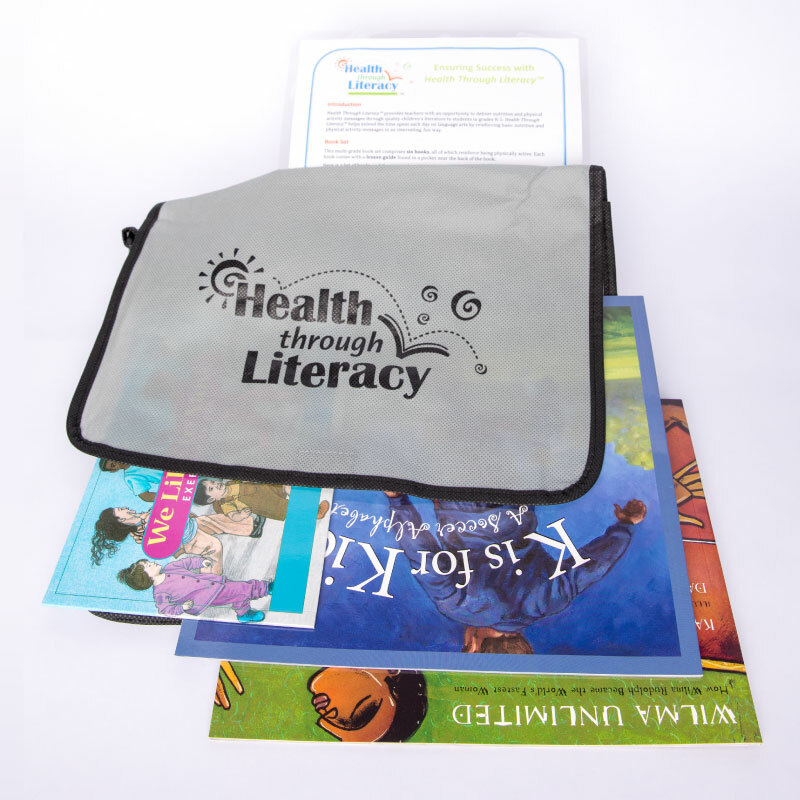 The Health Through LiteracyTM Physical Activity Book Set includes six books that promote physical activity. Easily transported in a cloth, zippered bag, physical education teachers can use them while students wait to be picked up or when a break from physical activity is appropriate. The books can also be used by classroom teachers for indoor recess. A tip sheet, tucked into each book, offers ways to turn the story into a lesson.